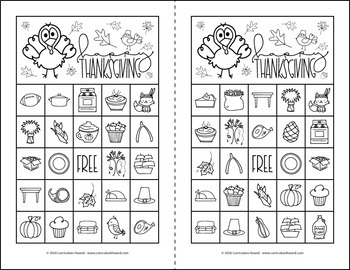 Students explore their sense of sight by playing a Thanksgiving-themed picture card bingo game. Picture card bingo is played the same way as regular bingo, except the caller holds up pictures for players to find on their game cards instead of calling out letters and numbers. 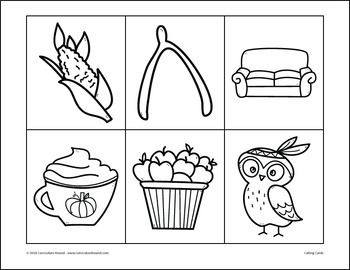 The first player to find five pictures in a row yells, "Gobble, gobble!" to win. This bingo set includes 30 different game cards, 30 picture calling cards, a sheet of markers, and a decorative calling card bag label. 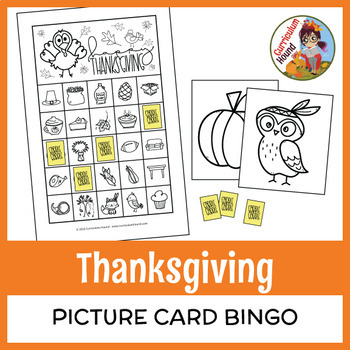 Note: This Thanksgiving bingo game is the same as the one in my Girl Scout store, except it features language specific to the classroom setting. 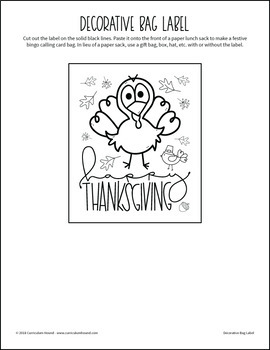 Did you know that by providing feedback for this product you will earn credits good toward a discount on future Curriculum Hound and other TPT product purchases? Simply scroll to the bottom of any purchased product page to leave positive feedback. If you have any questions or concerns regarding this product or another, please e-mail me at curriculumhound@gmail.com.